Punta Cana in the Dominican Republic has earned a reputation not only as an up-and-coming vacation destination, but as one of the best places in the world to catch blue marlin. 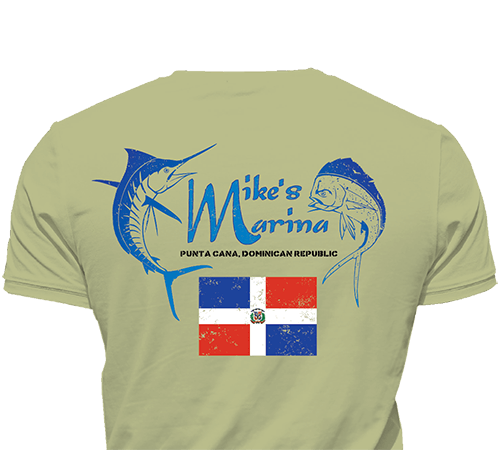 Mike’s Marina Fishing Charters is the most experienced outfitter in the area and has been successfully thrilling customers for more than 20 years. Fishing is good year round, but prime time is clearly is mid-summer, when the big blue marlin are found in numbers from June – September. Trolling ballyhoo and teasers and employing the classic “bait and switch”, it is not uncommon to land a half dozen blue marlin in one day. White marlin are prevalent from April to June, and dorado, wahoo and tuna can be caught year round just a few miles off the beach. Mike’s Marina has several boats to choose from, including two fishing machines – the 29’ Blackfin “Gladiator” and the 38’ Blackfin “Predator”. Both are well equipped for serious fishing including top equipment from Shimano and Penn. For anglers who want to fish in style, Mike’s also books trips on luxury sportfishers including “Emily”, a 53’ Viking. 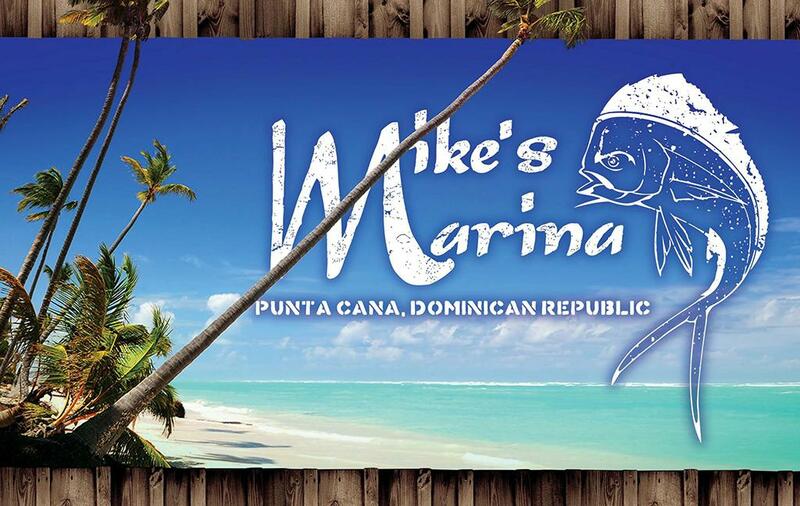 All trips are arranged by owner Mike Wagner, an expat who knows the fishing scene in Punta Cana as well as anyone and personally sees to it that each customer has the best experience possible. This is a true paradise – with swaying palm trees, wide white sand beaches and crystal clear cobalt water – and it just so happens that it is also a great fishing destination. 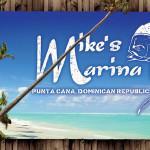 Bring the wife, bring the kids, and book a trip with Mike’s Marina while you’re in Punta Cana! The Red Tuna crew searches the world for the top charter boats, marinas and fishing lodges on the planet. 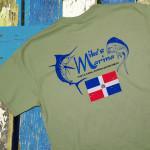 Every month, we deliver authentic, unique and top-quality shirts from these amazing destinations right to your door. Our shirts are classic cut t-shirts made from premium 6 oz 100% combed ring spun cotton, except for heather colors which are 90% cotton. Note: With your Red Tuna Shirt Club membership, you can change your size and shirt style at any time. 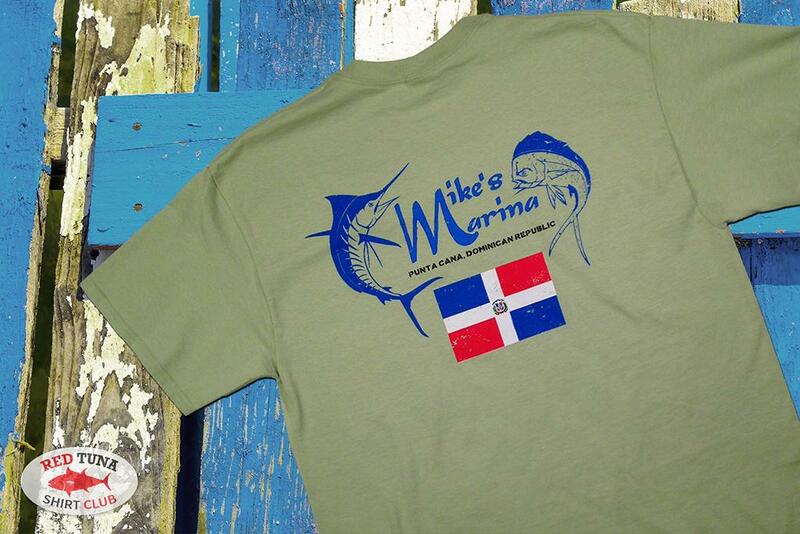 Did you receive a gift to Red Tuna Shirt Club? Lucky you! Gift Certificate? If you received a gift certificate to Red Tuna Shirt Club, it can be used anytime and applied to any membership type, so just click on “Join the Club” to get started. You will enter your gift certificate code at checkout.